1. Some small or free herpes dating sites are not safe enough as you think. 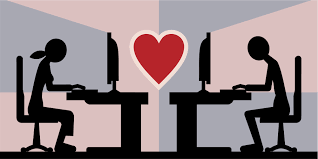 We know that online dating industry is very careful about users’ personal information and has been committed to providing a safe environment for its users. However, safety problem always exists in nowadays. The Ashley Madison hack incident in 2015 drew a big bomb in the online dating industry. The hacker “The Impact Team” hacked 13 GB file from this affair dating website’s database. So, herpes singles may want to ask the question “Does herpes dating site safe?” Our experts’ answer is” large herpes dating sites are much safer than the small and free herpes dating sites “. Here is why. 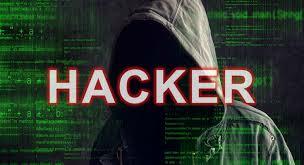 First, the top-class hackers are not interested in hacking niche dating sites due to the low commercial value. Second, other second class hackers do not have the ability to hack large herpes dating sites. Last but not least, large herpes dating sites have the ability to protect their users’ privacy and they are more careful about its users’ privacy than small and free herpes dating sites. Some small or free herpes dating sites do not have the technical ability to protect their users’ personal information. Even worth, some small or free herpes dating sites like H-Date and HSVSingles do not have the sense of protecting its users’ privacy. They directly open their users’ profiles to search engines. 2. 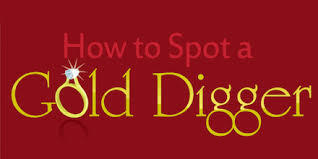 Be careful the gold digger on herpes dating sites. Compared with normal dating sites, users on herpes dating sites are more honest and serious on finding their matches. However, there still are some gold diggers on herpes dating sites. So, be careful with the gold diggers. Although some herpes dating sites have verification feature to identify its members’ pictures, smart scammers can also use the fake ID card to verify their accounts. Do not send money or your personal info to the people you do not know. Just remind the fact, real people won’t ask for money when begin dating with you. 3. You could find your match without paying. How to find your match without paying? Try free herpes dating sites? No! Although free herpes dating site is not a bad choice, considering the privacy safety problem, we do not recommend it. Actually, you would find your match on paid herpes dating sites without paying a penny! Most of the paid herpes dating sites allow the standard member to communicate with others. For example, the largest herpes dating site PositiveSingles allows the standard member to send free winks as well as reply emails from premium members for free. Also, the standard member on Positive Singles can free to write blogs, start discussions on forums and make comments. Besides, herpes singles can earn premium membership by sending the website improvement suggestion or herpes dating tips to PositiveSingles. a. Peoples on paid herpes dating websites are more honest and serious on finding their love – They are really want to start a new relationship. b. Peoples on paid herpes dating websites are more active – You will get the response soon after sending out the email. c. Paid herpes dating website like PositiveSingles has online dating counselor providing herpes dating tips to help its members on their site to find love. 5. Subscribe the premium membership on their PC version to save 30% – The premium membership fee on its app is higher than its the website. If you are going to try paid herpes dating sites, you’d better upgrade the premium membership on their website. 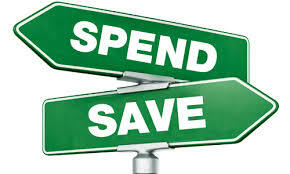 You will save about 30% if you subscribe their premium membership through their website. Why? The reason is both iTunes store and Google Play store will change about 30% of the subscription fee for the app developer. Thus, most of herpes dating sites’ premium membership fee on its app is expensive than its website. 6. You could ask for a refund if you were not satisfied with their service within a week after paying. Some HSV singles may hesitate to upgrade to premium membership and worry that could not find love after spending money? .Don’t worry. Most of the herpes dating sites allow their member to ask for the refund if they were not satisfied with their service. 7. Trying the #1 herpes dating site – Some herpes dating sites are affiliate partners of the large herpes dating sites. The last thing you should know about is that some herpes dating sites, especially the small paid herpes dating sites are affiliate partners of large herpes dating sites. The affiliate sites use different design and domains, but they share with their parent websites’ database. So, in order to save your time and money, we do not recommend herpes singles trying several herpes dating sites at the same to enhance the chances of meeting new people. Just try the largest herpes dating sites at the beginning. The largest herpes dating site like PositiveSingles own about the 90% of the market. Previous story A Herpes Cure On The Horizon? It May Be Sooner Than You Think!